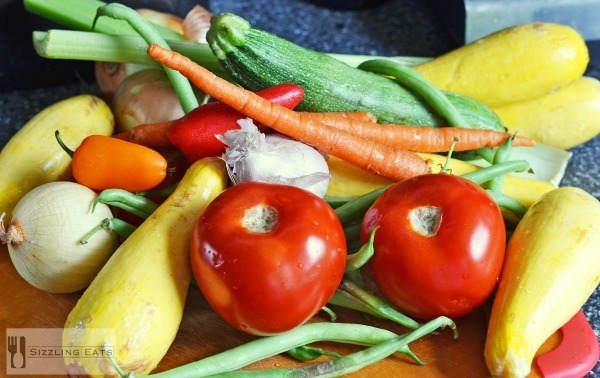 Summer might be winding down, but chances are you might have a garden or fridge loaded with delicious vegetables. I know I was busting at the seems with vegetables a few weeks ago. We have hit up our local farmer’s market and might have purchased a little too many veggies. 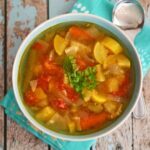 After taking inventory of my produce, I realized I needed to make an easy summer vegetable soup. I am all about easy recipes that do not require tons of steps, processes, and time. 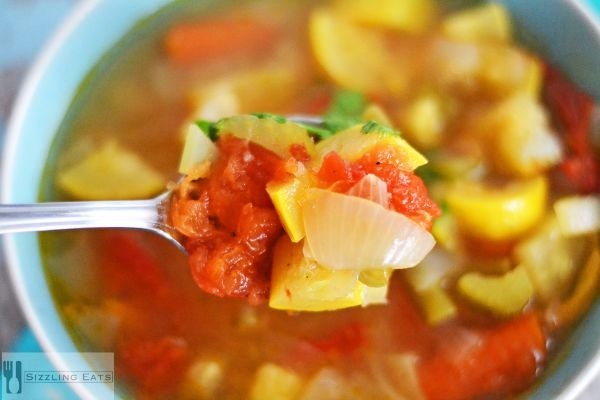 That is why this easy summer vegetable soup was so appealing. I simply chopped up everything and sort of added it in. I used tons of vegetables, and herbs that I either bought locally, or had in my garden. The end result was a very filling summer soup that tasted like the fresh flavors of summer. I went the extra step to slightly saute my onions, garlic, zucchini, beans, and squash to give them a little more flavor. By placing them in a large wok with some olive oil, and garlic I helped to capture a little more flavor in them. 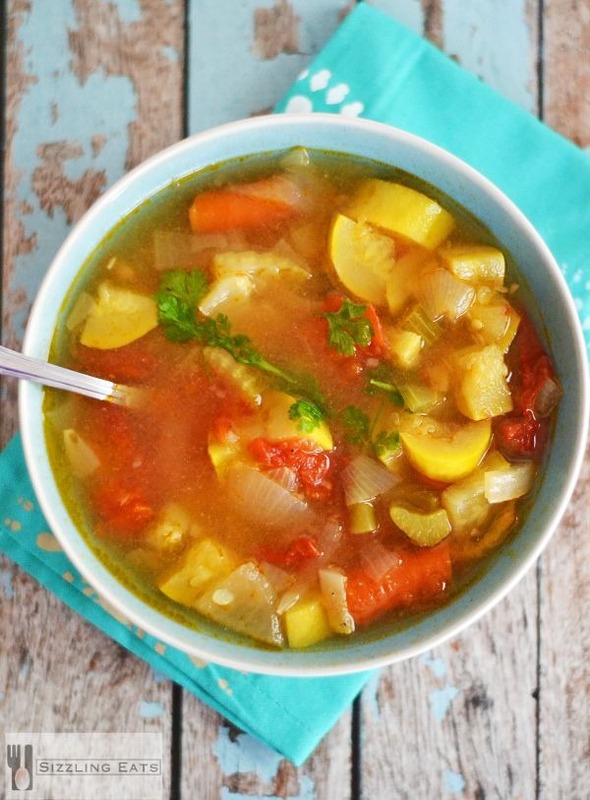 Honestly, I am not the biggest soup enthusiast, but this low-carb soup was not only tasty, but it filled my belly and helped me to use quite a bit of veggies. It made a good sized pan’s worth of soup which was helpful for the next day’s lunch. I love soup the next day so things worked out nicely. I would say this recipe produces 8 good-sized servings. Add in sauteed veggie blend and simmer over the lowest heat for 1 1/2 hours. 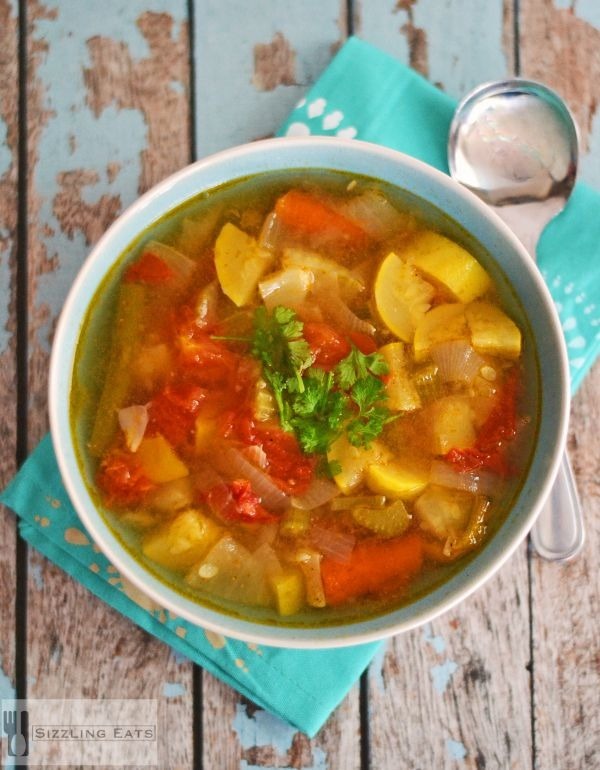 A delicious soup that captures the flavors of summer without all the added calories.